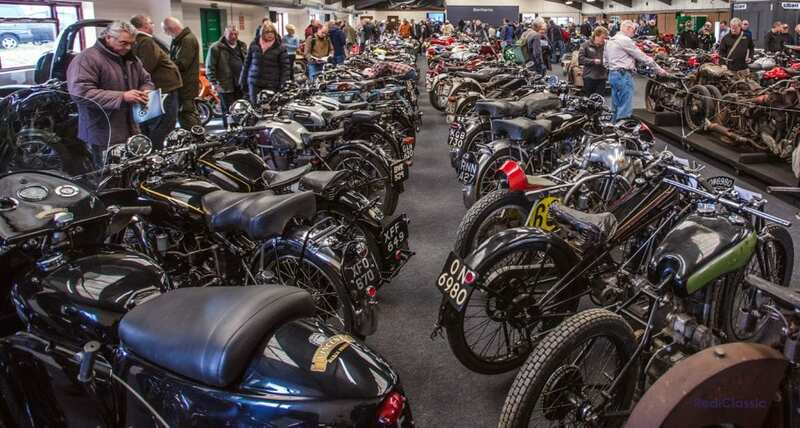 As usual, the autumn Stafford Show will host a Bonhams auction of classic motorcycles. 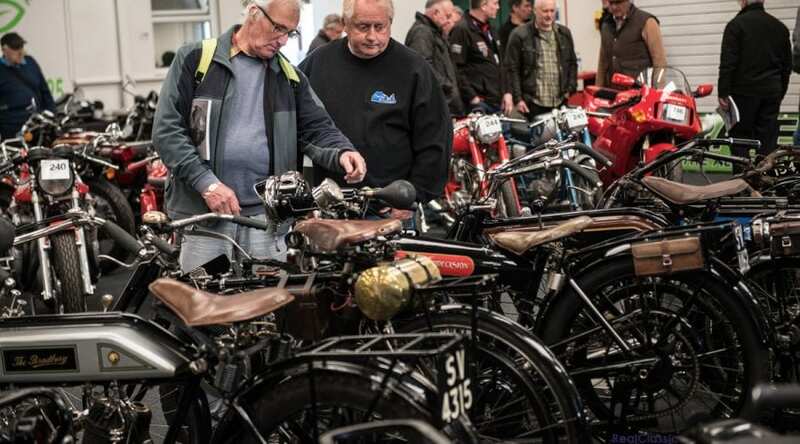 Some 200 classic bikes will go under the hammer and we’ll be keeping an eye on our favourites. 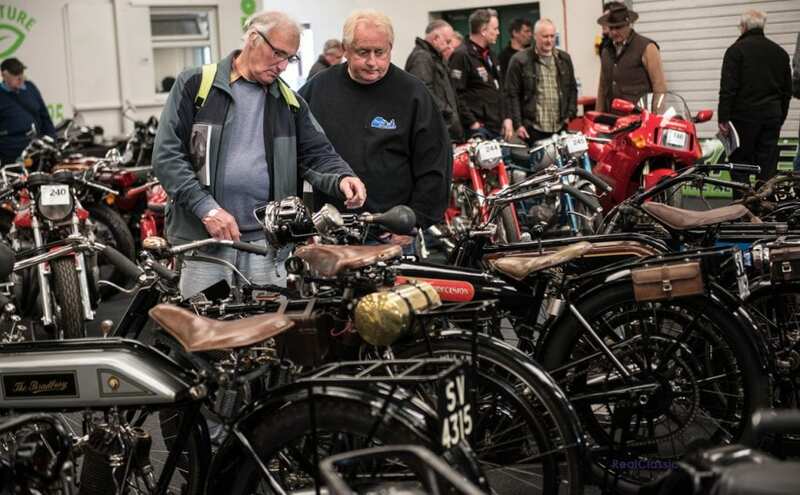 Some folks focus on the exclusive array of upmarket machines in these sales, and there are Gold Stars, Broughs, Vincents and Manx Nortons aplenty. There’s also a superb selection of quirky Continental classics. 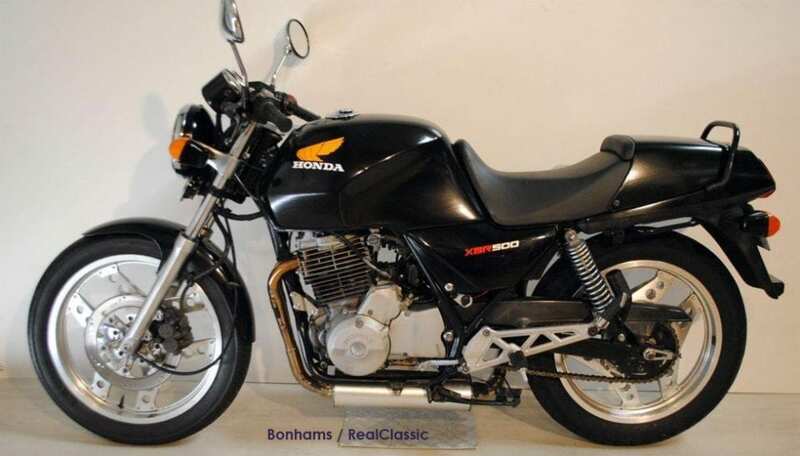 But we’re interested in the more affordable old bikes – which include a Royal Enfield twin, a pair of Sunbeams, a Triumph triple, a Norton Commando and Honda’s tribute to the trad Brit single. 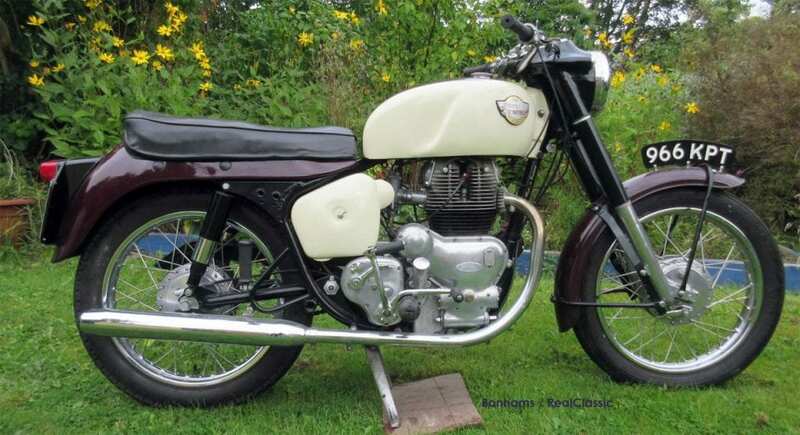 Our first one to watch is this 1962 Royal Enfield Constellation. While BSA, Norton, Triumph and the like mucked around with 600 and then 650 twins, Enfield hopped straight from 500 to 700. That had some predictable repercussions on reliability, and is partly responsible for the marque’s ‘Oilfield’ reputation, but almost all of the Constellation’s complaints can be cured with modern technology. They’re characterful and unusual big twins, quite capable of clipping along at motorway speeds. This one is an older restoration which has changed hands a couple of times since the work was done. We’ve mentioned before that the first-generation, modular, Hinckley-built Triumphs represent stonking value for money, and here’s an unusual 750 Trident to prove our point. Most people bought the 900 version and these typically sell for over £2k if roadworthy. This 750 was registered in 1994 and has covered just 23,600 miles since then. It’s been given a Sprint-style fairing and sensible engine bars – which even show some signs of scuffing to suggest they did their job at some time in the past! The Trident has been stored for quite a while and its mechanical condition is ‘not known’. It could easily be overlooked by collectors seeking something older, we think. Next up, two Sunbeams which are fortuitously listed for sale in the correct order… well, the correct order for our purposes, at any rate. They’re both S7 models; BSA’s initial attempt at a luxury touring machine with an all-alloy, overhead cam, shaft-drive twin. The first of these sedate fellows is a recently restored example – so if you are interested in buying the project which follows near the end of the sale then the hammer price of the posh one will give you a good idea of what a well turned-out example is worth. The smart Mist Green machine is a 1950 edition and has been updated with a Concentric carb and indicators. It’s been in a collection and has no documents, nor is anything known about its mechanical condition – so, you know, it’s always worth checking to make sure there is something inside the engine cases! It’s not, therefore, worth as much as a restored runner in roadworthy condition, but it’ll give you a good idea of what people are prepared for these increasingly collectible ’Beams. And here is the known quantity of the pair of Sunbeam S7s. You can see straight away that it’s going to need almost everything repaired, replaced, re-finished or re-made so, in the words of Prof Brian Cox, things can only get better. And if you paid attention during the earlier part of the sale, you’ll have seen how much the pretty S7 sold for so you’ll know how much budget you can spend buying and then fixing up this 1970s shed survivor. Sold for: £3450. This means the purchaser has a budget of £3000+ to restore this Sunbeam to its genteel standard spec. That sounds like a lot of cash… but you’d be surprised how much an entire engine rebuild can run to! Our next machine of interest wins the ‘if it sells for that much then I’m a Chinaperson’ award. 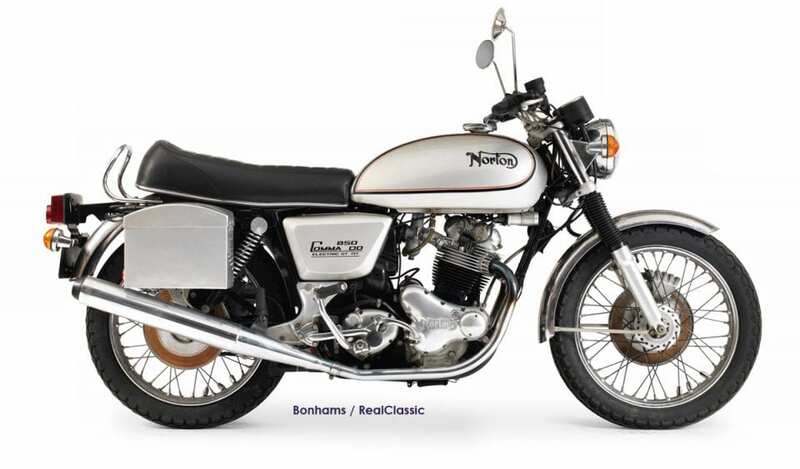 Norton Commandos typically fetch upwards of eight grand. The electric-start Mk3 model – once sneered at for being something of a lardy lump – has really found a following now that modern electric start units and high-power batteries take away the need to ever kickstart the thing. Good ones go for five-figure sums. And you should be able to turn a non-runner into something roadworthy and respectable for under £3000 (quite a lot under £3k if you’re a dab hand with the spanners and don’t go wild with the upgrades). This Interstate has been in a collection and doesn’t look as if it’ll need much in the way of cosmetic attention. An optimist would try fresh petrol and plugs and see what happened! 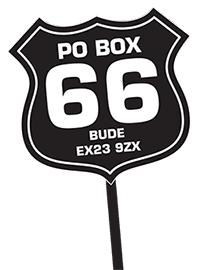 Even if you have to spend an entire month of Sundays battling bureaucratic red tape to get this one dated, authenticated, inspected and road registered, it’s a tempting proposition. Hence we gave the estimated sale price a seriously inclined eyebrow. If it does sell for five grand then you can expect to see it on eBay a fortnight later at £7000. Sold for: £6900. Yep, that’s pretty much what we figured. There was another Mk3 Interstate in the same sale and it sold for a sniff under £9k. We end with a tale of two Hondas, both alike in dignity. In fact, they’re alike in many other ways because they are essentially the same four-valve, dry-sump, electric start single from the mid-1980s (as we featured not so long ago in the monthly magazine). 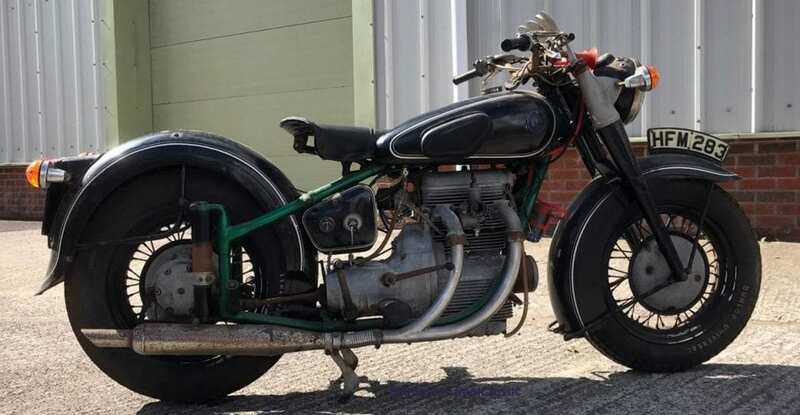 This first is the unabashed ‘tribute’ model, a GB500TT with wire wheels, fork gaiters, shiny headlamp, chainguard, exhaust and rear mudguard, and a Velo-a-like black-and-gold paint scheme. It’s been in a German collection so needs to be registered in the UK. Mileage not known. Sold for: £4600. Wow. That means that people will pay as much for a 1980s Honda as they would for the 1960s Velo it resembles! Sold for: unsold. This suggests no one was prepared to pay the reserve price, probably around £2200; less than half the cost of the GB500. Crikey. Motorcycle lots are subject to a buyer’s premium of 15% on top of the hammer price, so bear that in mind when placing your bids. 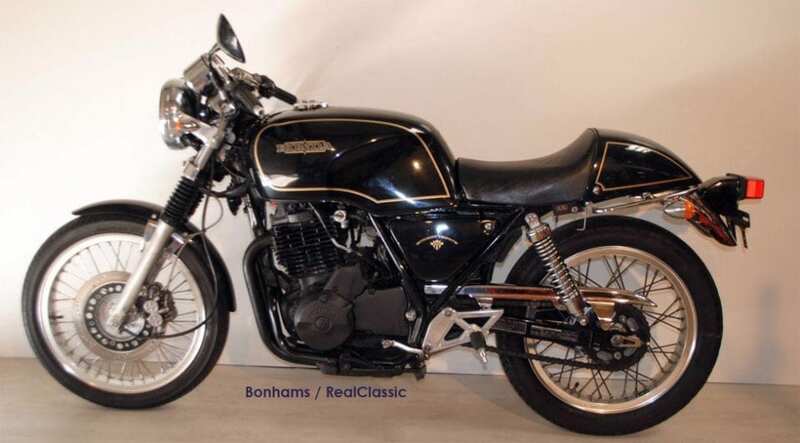 You’ll find full listings of the classic bikes, spares and memorabilia in the Bonhams auction here.